METRO MANILA, June 3, 2017 - At least 37 people died at the Resorts World Manila Friday (June 2) - mostly from suffocation while 54 persons were wounded following the attack of an "ëmotionally disturbed person" who had fired gun and set the gaming tables on fire at the casino of the said hotel. In a press briefing at Malacanang, NCRPO Chief Dir. Oscar Albayalde that the fatalities include the gunman who killed himself by setting himself to fire and shot himself pointblank in the head. 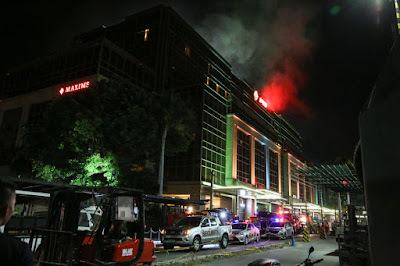 An official statement released by Resorts World Manila Chief Legal Officer Gina Alvarez disclosed that there are 35 casualties in the tragic incident of which 13 are employees and 22 are guests. Alvarez called on the public to refrain from spreading hurtful information and false information.